Prior to designing and building your garden, you need to consider its ongoing maintenance. Apart from the obvious grass cutting and leaf clearing, plants will develop over time, filling out spaces, climbers may need training on walls or fences, trees may need careful pruning to achieve their best effect and ensure stability of their root system. 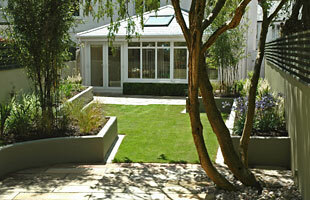 A well designed garden with clean architectural lines is easily maintained. Consideration of all this at an early stage will ensure firstly that the garden is designed to a suitable and realistic maintenance level and also that it develops over time to its best potential, giving that added dimension to its mature character. A maintenance program, whether carried out personally or by professionals, should take into account the seasonality of most tasks, such as grass cutting, hedge trimming and cleaning of hard surfaces. 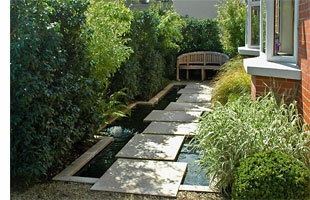 Plan Eden offers a full follow up garden maintenance service to all its clients. Alternatively we can provide consultation and professional advice on the best maintenance regime for your particular garden.